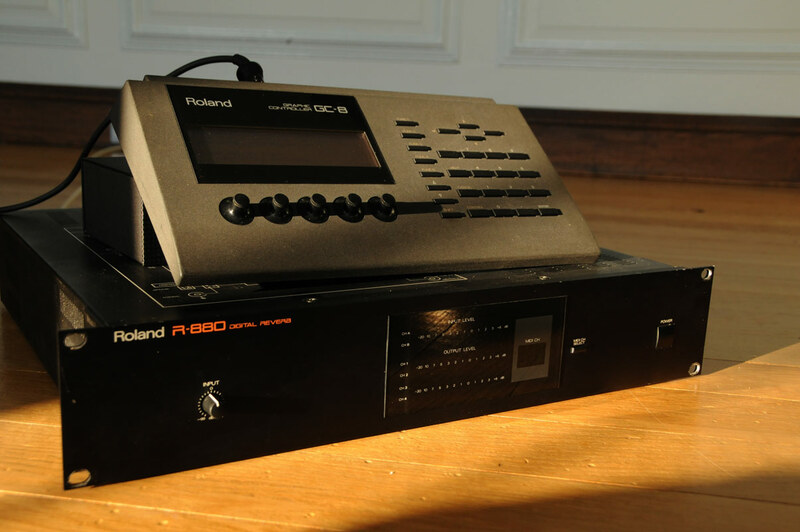 The Roland R-880 Digital Reverb is a 19″ rack-mountable device. The GC-8 Graphic Controller is designed to sit on a table or desk top. The two units are connected with a single cable, with connectors that resemble MIDI connectors, but that have 6 pins and lock when inserted. 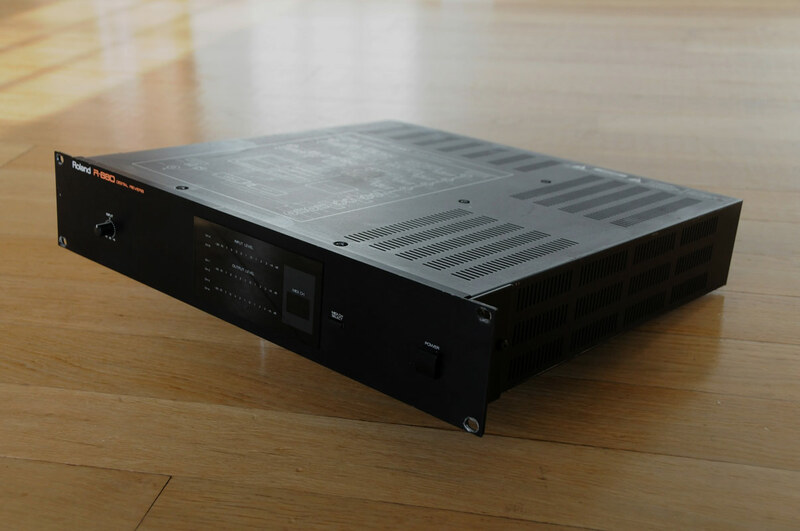 Aside from the reverb section, it features processing modules such as the Band Parametric Equalizer, Delays, Chorus and Compressors/Limiters, all programmable. The rear of the R-880 has input and output jacks for audio and control signals. There are 2 input and 4 output channels. Audio jacks are provided for each channel in both analog and digital format. Both balanced and unbalanced analog inputs and outputs can be set by a switch, labelled UNIGAIN. Digital input and outputs are provided for both coaxial and fiber-optic formats, and a switch is [provided for choosing between them. 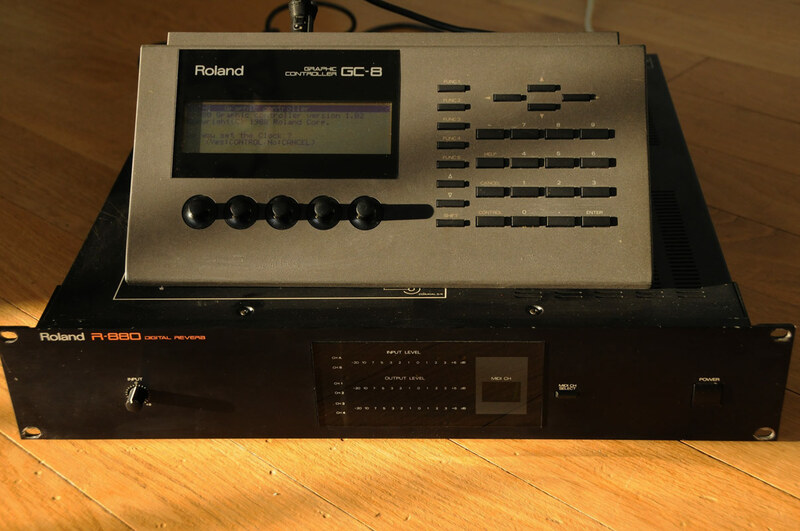 The analog and digital inputs can be used simultaneously, and their relative levels are controlled by the software. The analog and digital outputs may also be used simultaneously, and they are parallel to each other.